The Junior World Championships, Fort Lauderdale 2014, was the focus of the judo world once again as four new world champions were inaugurated at the Broward County Convention Center on Thursday. Four weight categories were in action in Florida as the junior women’s -52kg and -57kg categories were contested along with the junior men’s -66kg and -73kg categories. While the judo world is consumed by the pulsating Junior World Championships, judoka and dojos around the world are preparing for World Judo Day which will be celebrated on Tuesday 28 October, the birthday of judo founder KANO Jigoro. The theme this year is HONOUR and judo luminaries took the occasion of the competition in Fort Lauderdale to show their support for the annual judo celebration. 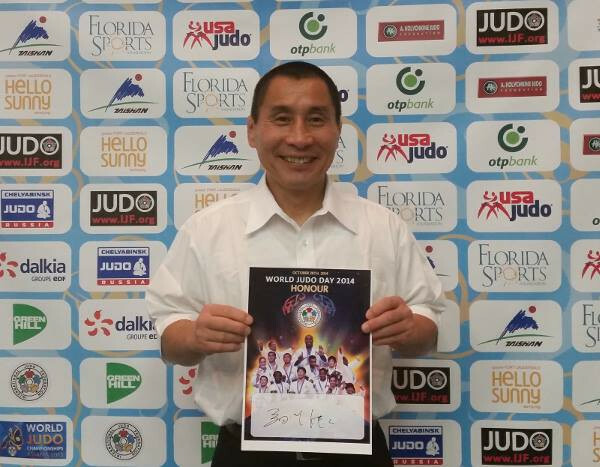 Mr. HOSOKAWA Shinji, 1984 Olympic champion and 1985 world champion, said: “I have the pleasure to show my support for World Judo Day here in Fort Lauderdale. I have been involved in previous editions and encourage the international judo community to take part and to organise activities to celebrate the sport. After day two in Fort Lauderdale, Japan remain out in front with four gold medals, three silver and one bronze ahead of France and Russia who struck gold today for the first time this week. World Championships bronze medallist Amandine BUCHARD (FRA) won the Junior World Championships on Thursday as she capped off a stunning year in style. The 19-year-old European silver medallist, who moved up to -52kg for this competition, faced off against fellow senior star and Jeju Grand Prix bronze medallist Larisa FLORIAN (ROU). The French prodigy went in front with a waza-ari with just under two minutes left and scored her second waza-ari to win her first world title. In the first semi-final BUCHARD (FRA) bested Croatian u23 Championships winner Tena SIKIC (CRO) by waza-ari while in the second semi-final FLORIAN (ROU) came out on top against Junior Asian Championships winner UCHIO Mako (JPN) as she won by ippon from a ura-nage. 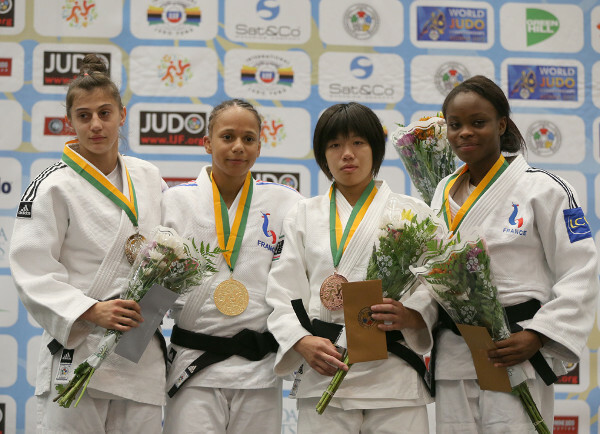 The first bronze medal was won by UCHIO who defeated 2013 Junior world silver medallist Jessica PEREIRA (BRA) while the second bronze medal went to Junior European silver medallist Astride GNETO (FRA) who beat SIKIC on shido penalties. Junior Asian Championships winner TAMAOKI Momo (JPN) defeated compatriot and Tokyo Grand Slam bronze medallist Tokyo Grand Slam to win -57kg world gold in Fort Lauderdale. 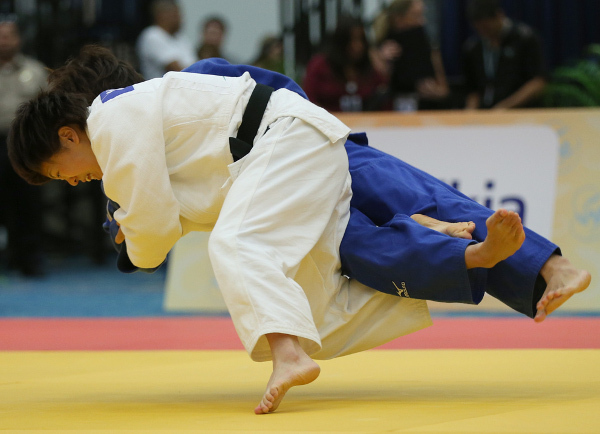 TAMAOKI, who defeated DEGUCHI in the Junior All Japan Championships a month ago, showed her supremacy by throwing her teammate for ippon after just 54 seconds with a thunderous osoto-otoshi. 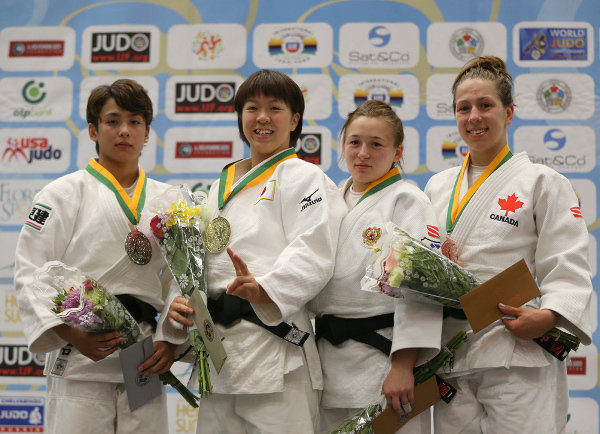 In the first semi-final TAMAOKI subdued Tyumen Grand Slam winner Catherine BEAUCHEMIN-PINARD (CAN). The Japanese fighter took the lead with a waza-ari and trapped her opponent in a yoko-shiho-gatame for 15 seconds and wazari-awasette-ippon. In the second semi-final DEGUCHI Christa (JPN) downed former Junior European silver medallist Daria MEZHETSKAIA (RUS) by a waza-ari from an ouchi-gari. The first bronze medal was captured by MEZHETSKAIA who dismissed Prague Junior European Cup winner Timna NELSON LEVY (ISR) by ippon after two minutes to win her country’s first medal at the Junior World Championships. The second bronze medal was won by BEAUCHEMIN-PINARD against 18-year-old Junior European bronze medallist Dewy KARTHAUS (NED) on shido penalties. Berlin Junior European Cup winner Egor MGDSYAN (RUS) came from behind to deny Japan one more gold medal as he forced Youth Olympic Games gold medallist ABE Hifumi (JPN) to settle for silver. ABE took command with a waza-ari from an osoto-otoshi before adding a yuko from an ouchi-gari which started in the middle of the tatami and ended in front of the scoreboard. Few expected MGDSYAN to find a route back into the contest but the resolute Russian continued to graft and scored a waza-ari with a pick-up and added a second waza-ari from a sasae-tsurikomi-ashi with 47 seconds left in a thrilling final. 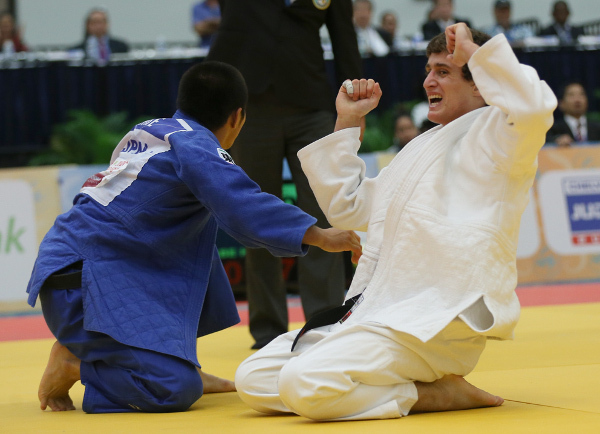 In the first semi-final MGDSYAN defeated former Cadet Pan American champion Ricardo SANTOS JUNIOR (BRA) by a waza-ari while in the second semi-final Junior European champion Baruch SHMAILOV (ISR) fell to ABE who won by ippon after two minutes having opened the scoring with a waza-ari. The first bronze medal was won by SHMAILOV who had the character to come back from a semi-final loss and defeat 17-year-old Youth Olympic Games silver medallist Bogdan IADOV (UKR) by ippon. 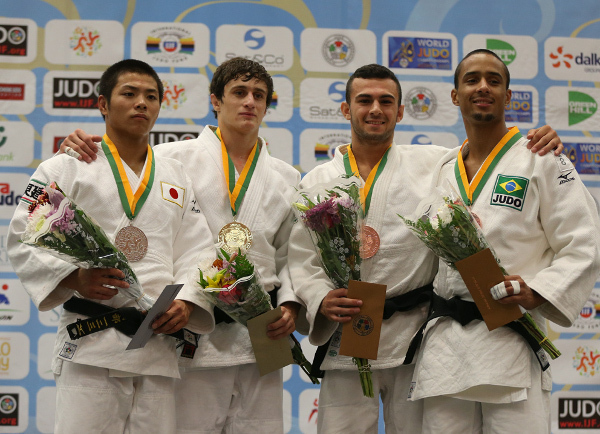 The second bronze medal was clinched by SANTOS JUNIOR who triumphed against La Coruna Junior European Cup runner-up Adrian LABRADO FERNANDEZ (ESP) by a waza-ari which was the only score of the contest. The Junior World Championsips -73kg title went to the exceptional AN Changrim (KOR) who won four of his six contests by ippon. The unseeded Korean concluded his unforgettable day by defeating Junior All Japan Championships winner YAMAMOTO Yuji (JPN). AN scored two waza-ari without reply to win by wazari-awasette-ippon. In the first semi-final YAMAMOTO Yuji (JPN) of Tenri University defeated former Cadet World Championships bronze medallist Huseyn RAHIMLI (AZE) while in the second semi-final AN prevailed against two-time national medallist Sharofiddin BOLTABOEV (UZB) on shido penalties. 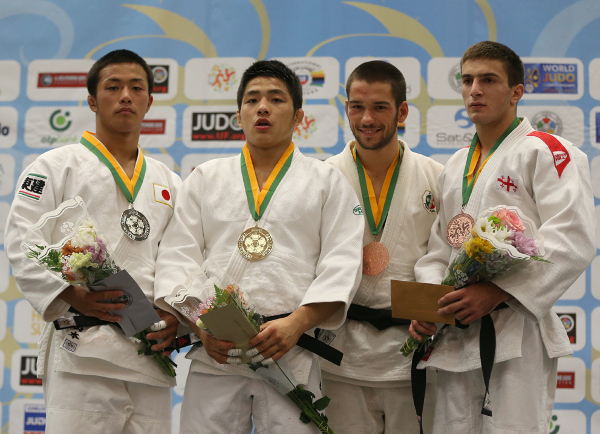 The first bronze medal was won by Lisbon European Open bronze medallist Nuno SARAIVA (POR) as BOLTABOEV received four shido penalties for hansoku-make. The second bronze medal was awarded to17-year-old Koba MCHEDLISHVILI (GEO) who defeated RAHIMLI by ippon after two minutes. Cadet world champion MCHEDLISHVILI was able to win Georgia’s first medal in Florida and more is expected of the European powerhouse nation in the coming days.